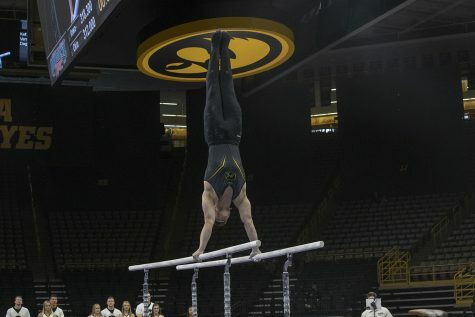 2019 will bring a new season for the Iowa men's gymnastics team and it will take hard work and determination to achieve the team's goal of consistency. 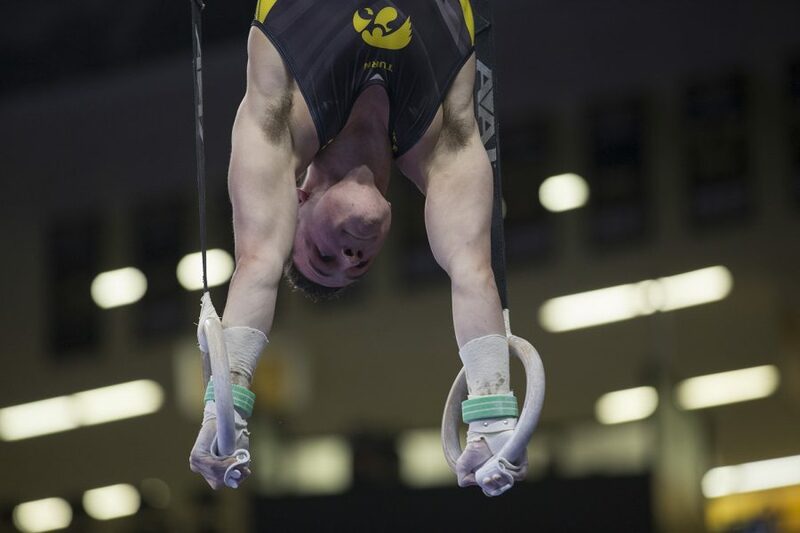 Jake Brodarzon competes on the rings during men's gymnastics Iowa vs. Nebraska at Carver Hawkeye Arena on Feb. 23, 2018. 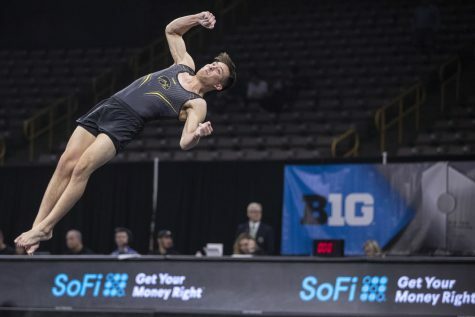 As the new season approaches, the Iowa men’s gymnastics team has a young roster with seven freshmen who will make their college débuts on Jan. 19, 2019, at the Windy City Invitational in Chicago. 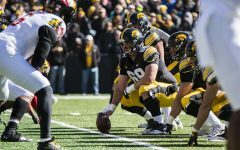 Although the Hawkeyes might have a young team without much experience at the college level, the one thing they have focused on and drilled into their daily routine is consistency. 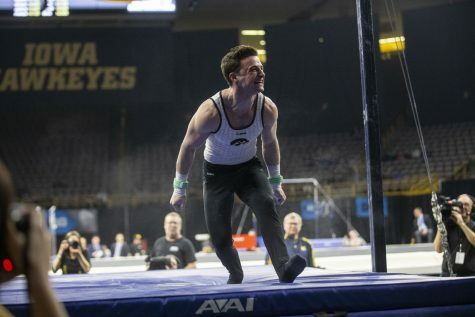 Last season, the Hawkeyes showed tremendous potential by placing in the top three in five meets, but they fell short in the Big Ten Championships with a seventh-place finish. 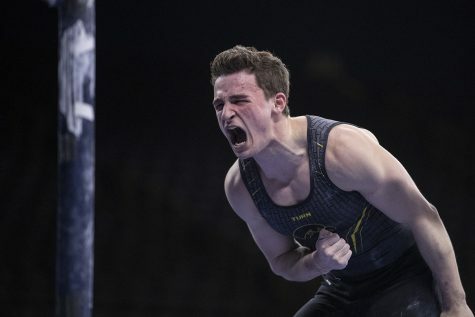 This season, the goal is to be able to take the routines that are learned in practice and transition them to a meet with no issues at the end. 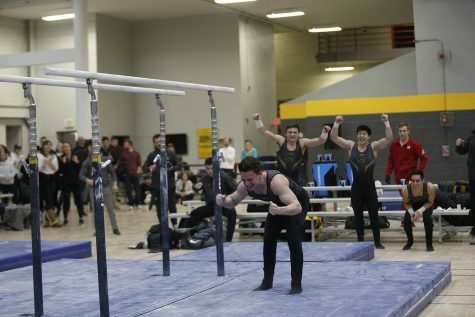 Gymnastics is a performance-based sport, so the team has to be able to perform at its best. Reive said confidence and repetition is the key to success. This starts not only with great leadership but with practice and the knowledge that failure will come at some point. 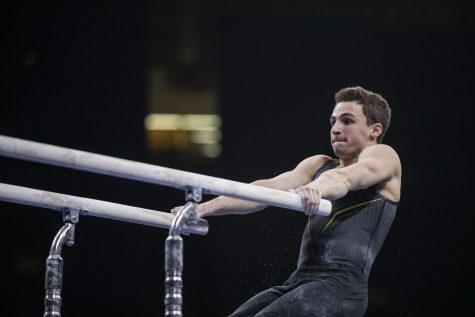 But it depends on what the gymnasts do with that failure that defines whether they can move on from it. 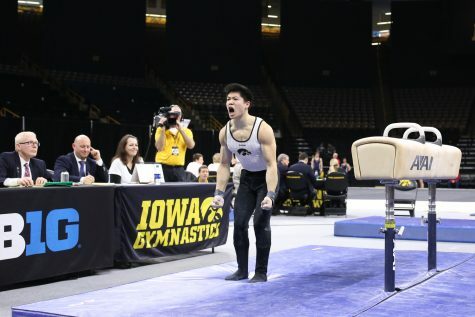 There are only three seniors on the squad for the upcoming 2019 season, and senior captain Jake Brodarzon said he was honored to serve in the position. On board with Reive’s plan, he described what consistency means to him this season. This has been a key factor in making sure the freshmen and younger gymnasts are prepared for what is to come in the season. It seems to be working, too. Standout freshman Stewart Brown has stepped up his role as a first-year and is taking the knowledge from his coach and captains to heart to impact the team. 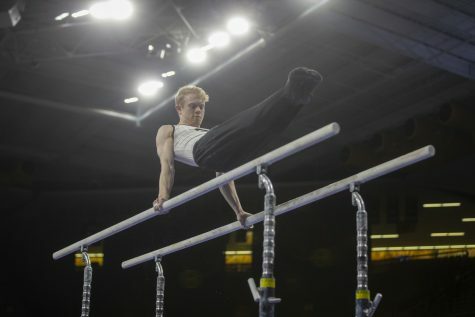 “Consistency, to me, means hitting routines the cleanest and best you can as often as you can,” Brown said. 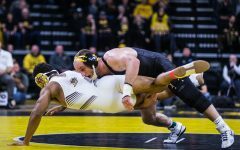 Now that the tone has been set, it is time to see if the Hawkeyes can achieve the consistency they are working so hard for.